This was the “memory” that Facebook had waiting for me when I logged in this morning. Sadly, this is probably even more applicable this year. Why? Are you aware that Barry O. is now bombing SEVEN — COUNT THEM SEVEN – COUNTRIES?! Do you wake up every morning and think, “OMG we are at war!”? No you don’t but MILLIONS AND MILLIONS DO! 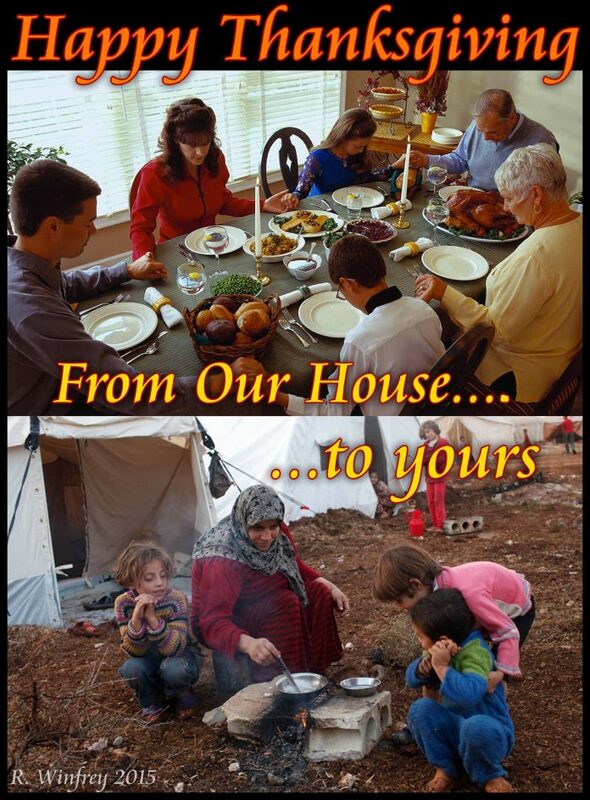 Not only are they the people in those seven countries but some of those millions are people living in this country BECAUSE THEIR LOVED ONES AND FRIENDS WON’T BE SITTING AT THE “THANKSGIVING TABLE” BECAUSE THEY ARE FIGHTING THOSE WARS! We are ALSO WARRING AGAINST OUR OWN “NATIVE” CITIZENS IN THIS COUNTRY. The state of North Dakota has spent MILLIONS for “militarization” to keep the Indigenous people from THEIR OWN LAND! “Native Lives Matter at Oceti Sakowin Camp. Do you think about that every day? YOU SHOULD! “WE” (our government) APPARENTLY HONOR NO TREATIES ANY LONGER! THEY HONOR NO RIGHTS OF CITIZENS! AS YOU ARE RUNNING AROUND, HAIR ON FIRE SCREAMING “OMG TRUMP” remember WHAT EXACTLY IT IS OUR PRESENT ADMINISTRATION IS DOING! They stole our vote and our voice. They “chose” the candidate for the installation but it didn’t work! They created Trump. The emails proved they wanted him all over the airwaves. Why? Because she was sure if he showed himself to be a narcissistic buffoon she could easily beat him. Did she? NO! The people want ANYTHING BUT A POLITICIAN. Had the DNC listened to their members, voters, and EMPLOYERS and not committed #ElectionFraud we had a candidate who could have saved this country and the world! You fear TRUMP? WAKE THE HELL UP AMERICA! WAKE UP! FOR THE LOVE OF THIS COUNTRY, WAKE UP! FOR THE LOVE OF IT’S CITIZENS, WAKE UP! FOR THE LOVE OF GOD WAKE THE HELL UP! Whether you admit this to yourself, as your set your thermostat to keep yourself warm, there are millions have NO HOMES LEFT. And now WE as a nation DON’T want them to come here to live — Oh God no — we can’t have that! They HATE US! Why? BECAUSE BUSH, CHEYNEY, OBAMA AND THE DEFEATED CANDIDATE all believed that WE NEEDED TO CONQUER AND CONTROL THE WORLD! Yeah that’s a little overboard but NOT to those who lost their “world”, their families, their homes, their jobs, their cars, their lives! This nation is a nation THAT IS IN CRISIS. The ADMINISTRATION, THE PARTY OF THE WALL $TREET TROLLOP, PUT US HERE, along with the help of the administrations ALL THE WAY BACK TO REAGAN! Trump did not put us here so please stop focusing on TRUMP. We NEED to FOCUS ON THE CHANGES WE CAN MAKE AS A NATION. 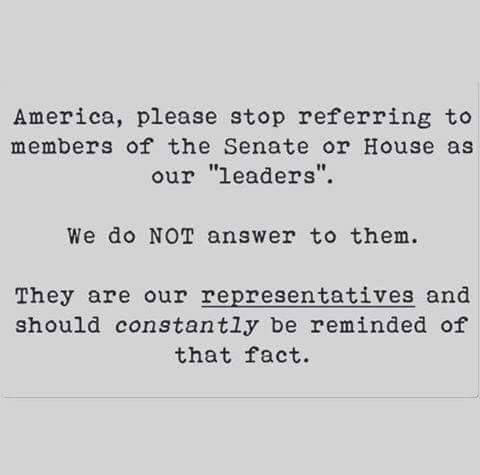 We need to change it because our elected (I use that term loosely) officials will NOT! We cannot ALLOW our parties to run roughshod over us! THEY ARE NOT OUR MASTERS! They call themselves “leaders” — THEY ARE OUR EMPLOYEES AND DON’T YOU FORGET IT! They are leading us alright! RIGHT OVER A CLIFF! How many of you are aware that Congress cannot be prosecuted for “insider trading”? How many of you are aware that they stayed in great shape during the ’07/’08 crises? Oh yes! They KNEW what was happening but before they let that shoe drop THEY GOT THE HELL OUT! You lost on your 401K? Wow! Too bad BECAUSE THE “GREEDY BASTARDS CLUB” did not! This article is a MUST READ! 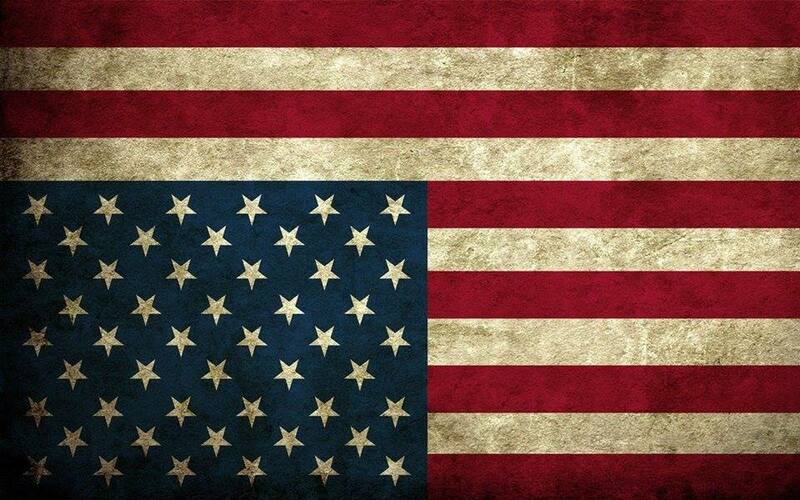 When do you pay attention — REALLY PAY ATTENTION — to what is happening in this country? 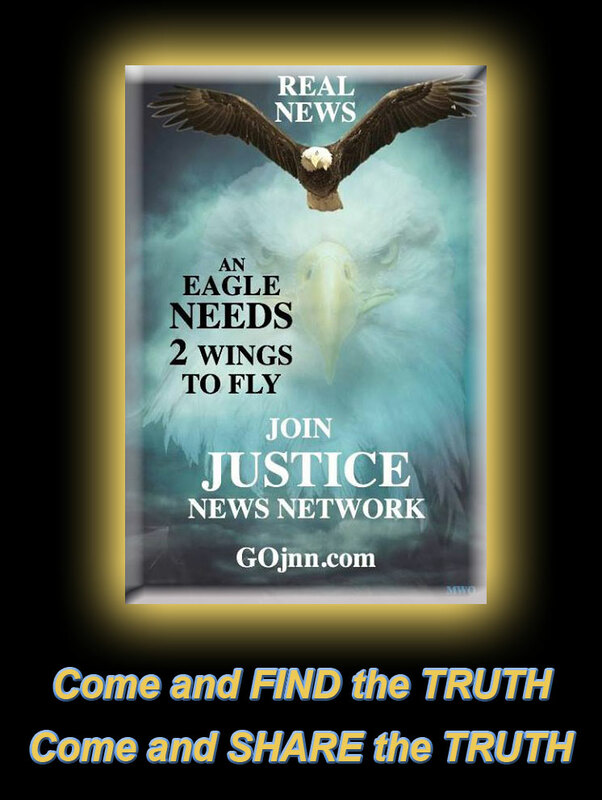 I know you think you do because you watch the “news” (propaganda on MSM), subscribe to a newspaper, view online publications, look at a magazine in the waiting rooms of doctor’s offices, and the like. Are you informed? Do you really know what is going on? I have a friend, a long-time friend that I removed from my friends list during this “cycle”. I also removed other friends and many because you JUST KNOW they are not where you are. I refriended my long-time friend after receiving a private message saying “now that the election is over. . .”. This, my friends, is where we go wrong. WE CAN NEVER LET THE ELECTION BE OVER! THIS IS HOW IT FELL APART! Please, to all my friends, WAKE THE HELL UP! YOU CAN’T LET THIS CONTINUE! WE DID THIS! DO YOU NOT UNDERSTAND THAT?? WE DID THIS! WE STOPPED PAYING ATTENTION. WE ARE THE EMPLOYER! YOU CAN’T HIRE THIEVES AND LET THEM RUN YOUR BUSINESS AND THAT IS EXACTLY WHAT WE DID! If we do not stop this now we will have NO COUNTRY LEFT! Will you allow your home to be taken by eminent domain for a corporation? 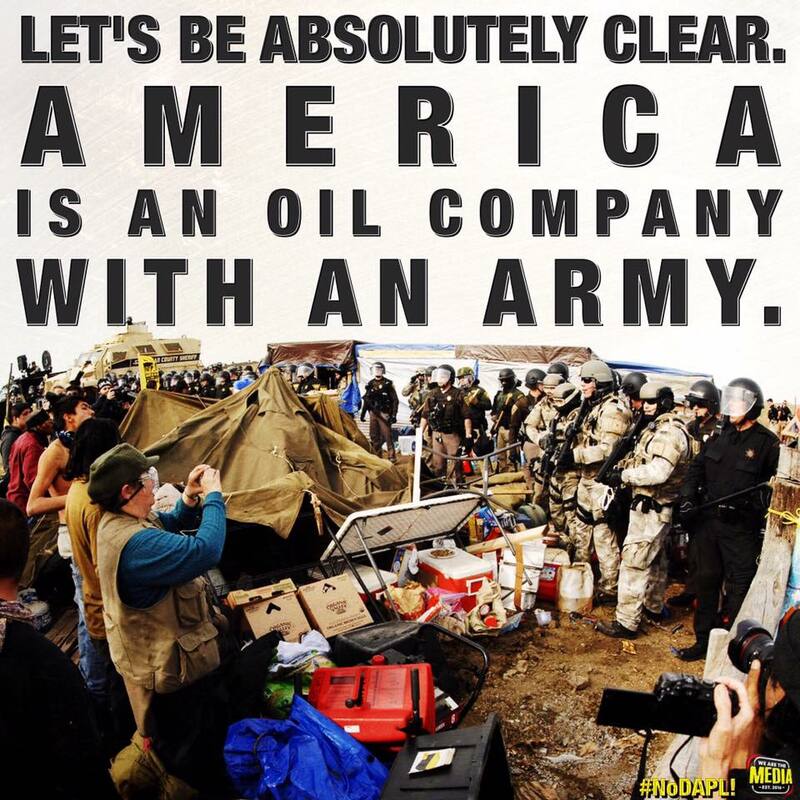 Will you stand by they “USE” OUR MILITARY IN AN ATTEMPT TO TURN OUR COUNTRY OVER TO CORPORATIONS? The TPP has NOT gone away completely. Only til after the “inauguration”. These actions I see as precursor to that “trade agreement”. It is anything BUT a trade agreement. This is the “powers that be” usurping ALL THAT IS! IT MUST STOP NOW! WHO WILL STAND TO SAVE THE COUNTRY? WHO??? OH! I ALMOST FORGOT! HAPPY THANKSGIVING!